So this is what we have in store for our international players, spectators and fans of British Dodgeball next season. The following dates have been kept clear of adult events in our calendar and it is expected that all 4 national teams will be utilising these dates for their training sessions. Unless they have a home nations league fixture. Our intention is to create a high performance player pathway that is the envy of all other competing dodgeball nations across the world. That is why we will be introducing a Home Nations League that will see competitive opportunities for new and experienced international players. Beyond this as the sport grows within our home nations, an under 23’s, an under 19’s and under 16’s home nations league will develop. This pathway from junior to adult and opportunities for development players to represent their home nation will create a conveyor belt of talent that keeps British Dodgeball at the top of the sport. British Dodgeball will be hosting 4 matches between the Home Nations next season. Each nation will play one home and one away match. The nations that do not compete against each other in the 2018/19 season will compete in the following season. Nations will be putting together an A and a B team in each of the 3 categories; men’s, women’s and mixed to compete on the day. In 2018/19 we will be launching the Great Britain Dodgeball Team. The Great Britain Dodgeball Team will be British Dodgeballs flagship team and we will begin with our first ever match versus Canada on the 20th April 2019 in Sheffield. The Great Britain Dodgeball Team will also be competing in the World Championships in 2019. Beyond this the Great Britain Dodgeball Team will be competing in the EDBF European Championships and the World Cup, however the timeline for this change is yet to be fully confirmed as there are many factors to consider. What we do know is that the 2019 European Championships in Nottingham will be contested by England, Northern Ireland, Scotland and Wales. British Dodgeball want to ensure that this change is completed at the correct time so that it does not feel that opportunities are being taken away but that more opportunities are being created. Not only through competing but through job opportunities, funding, support and development. From September 2018 we will begin work by advertising for Team GB coaches. 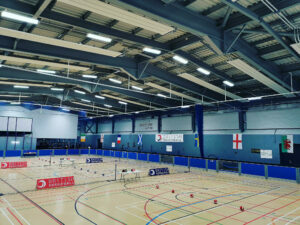 Euros 2019 will be hosted by British Dodgeball and will take place at the David Ross Sports Village in Nottingham over the 5th, 6th and 7th July 2019. Alongside our home nation teams we are expecting to see nations from all over Europe competing in what is promised to be the biggest European Dodgeball Championships of all time.